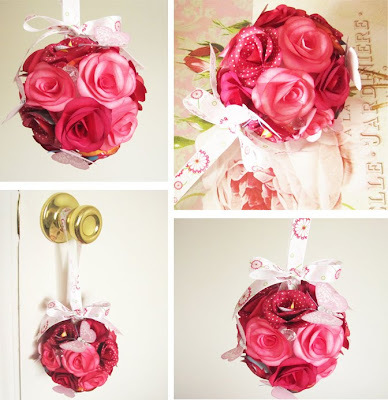 I glued 19 of these and other paper roses in solid red and pink (with inked petals to give them a more realistic look) and created another pomander, this time a smaller one. 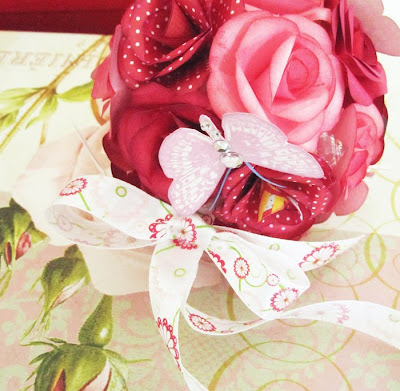 Five pink butterflies sporting sparkling crystal bodies and soft paper antennae hover around the roses. You can see the pomander in my shop here.